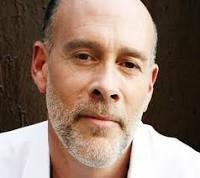 Marc Cohn - Walking In Memphis. This was a favourite back in the day when I was like 14 or so, so adding it cause I used to like it, not cause I listened to it now. Adding for memories. I used to love the line "Are you a Christian" and he'd reply "Maam I am tonight". Used to love that part. I often identified as a Christian though kept somewhat secret about it. I practiced Christianity growing up. But it has failed now as you can read from my last post.